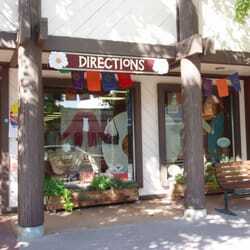 A local landmark for over 40 years, Directions is the place to find beautiful clothing, jewelry, accessories, gifts skin care and more. We strive to sell mostly products made in the US and countries that participate in fair market practices. Many of the products have unique stories that resonate with protecting the environment and supporting artisans in developing countries. Although new clothing lines have been added, our personnel want to always honor the history that made Directions the go-to place for womenâ? ?s fashion. Come in and see us today!